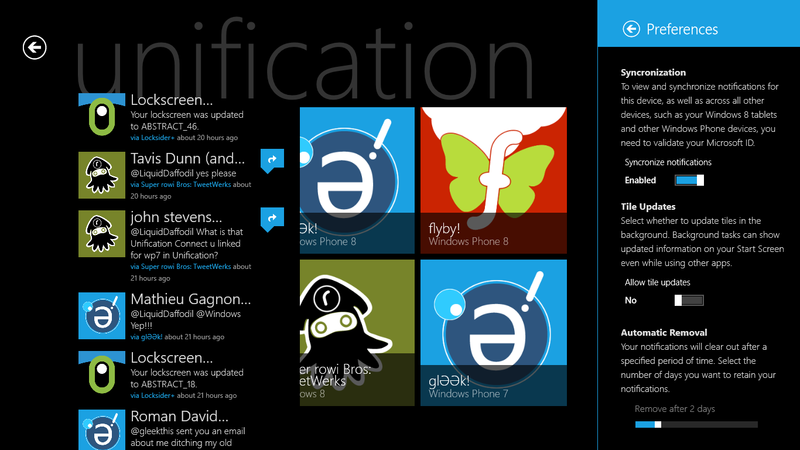 We've been informed that Liquid Daffodil has finally managed to get its Unification app listed on the Windows 8 Store, enabling consumers to download and utilise the notification centre across the Windows ecosystem. So what's Unification all about? If you're not familiar with the name, or have somehow missed our previous coverage, it's a notification centre that pulls in and stores alerts and notifications from third-party apps. 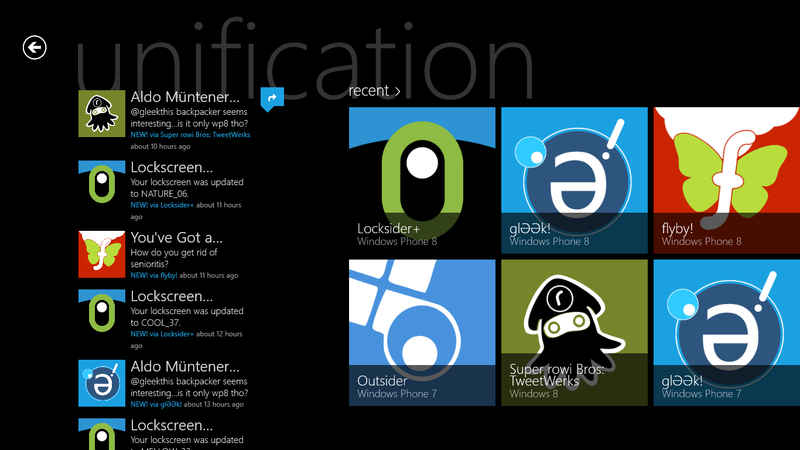 The one feature that's missing in both Windows and Windows Phone, which is also among the highest in the request list, is a unified notification centre. While it's a third-party solution and isn't by any means as integrated as a native feature, Unification by Liquid Daffodil provides consumers with a centralised location where notifications from supported apps are stored. No more losing alerts and updates from running apps. Current activity is approximately 200,000 notifications per day (phew, that's some number). Developers are looking to implement support for Unification, but are sticking to usual update paths which can delay things. Anywhere between 50 to 75 apps are requested per day, which illustrates just how large the user demand is. The majority of requests sent in are for WhatsApp, as well as the official Twitter and Facebook apps. As a note for reminding developers and consumers, if you're the latter be sure to bug developers to let them know how much demand there is for Unification. If you're a developer, be sure to get in touch with the Liquid Daffodil team (unifyus@liquiddaffodil.com) and get started with implementing support in apps. 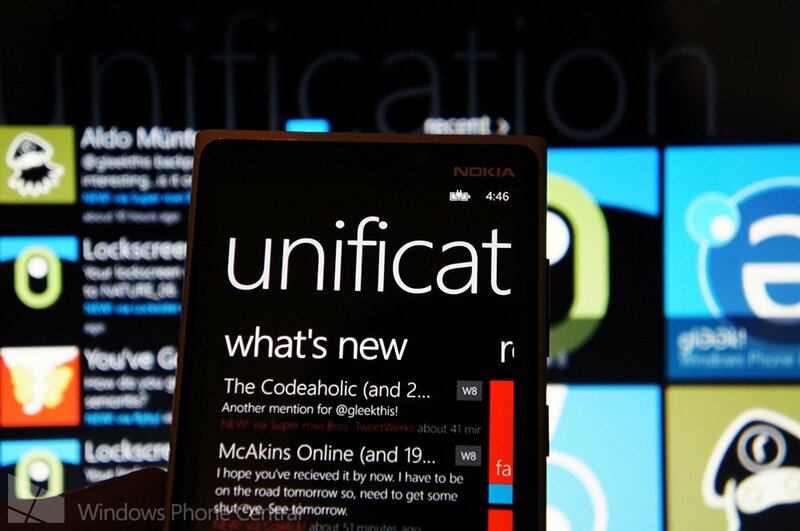 You can download Unification for free from the Windows 8 Store, as well as Windows Phone.